Hitman 2 is like a hearty stew: not pretty, but so full of nutrition that you're bound to walk away full and happy. Essentially more of its predecessor but with a more consistent quality of levels. Which is fine: its predecessor was great. It feels a lot like the second half of the same season, rather than a true sequel, but Hitman 2 is still a beautifully crafted stealth game that's full of character. The quirks of what seem to be a last-minute rush out the door development strategy don't detract from the fact that each Hitman 2 level is wonderfully crafted and full of potential for inventiveness… and silliness. As someone who loves the Hitman formula, Hitman 2 gives me everything I want. 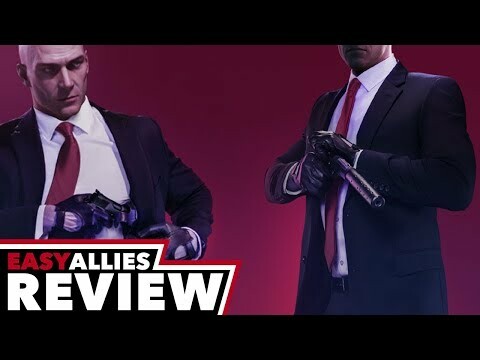 This sequel offers plenty of reasons to revisit the world of assassination, whether you're an experienced hitman or just trying out the fiber wire for the first time. Hitman 2 takes what its predecessor did best and improves on it visually and mechanically. It’s a cerebral game, a sandbox that can be bloodless or chaotic depending on who’s pulling 47’s strings. Hitman 2 may just be more Hitman, but it's somehow even better than before. Hitman 2 is a colossal collection of puzzles begging to be solved through multiple playthroughs. It's meticulous in its scoring system, objectives, and unlocks. Even though this would have worked perfectly as a "season two" for the original Hitman, the need for a new package is perfectly understandable given their situation. I don't even need the Sean Bean and company timed challenges or the promising now-in-beta Ghost Mode (an asymmetrical gametype where you try to kill more targets than an opponent that exists in an alternate reality): just keep giving me more maps and I'll keep playing. Hitman 2 was obviously meant to be attached to the previous Hitman game as both are nearly identical on the surface. The commitment to replayability, thorough assassinations, and large, packed environments are parallels that worked then and work now. Building on the foundations of the 2016 game, Hitman 2 is full of the best Hitman stealth action yet. Yes, it's evolutionary in some ways, and you have to accept the series' idiosyncratic take on the genre, but there's space for it to keep growing with the return of Escalation missions and continuing Elusive Contracts. Whether you're a blackmailing pink flamingo he satisfaction of an expertly planned and executed hit is like nothing else. Hitman 2 is bigger and better than it's predecessor in every way, which means there aren't many surprises, but also means more action, more stealth, even more ways to assassinate targets and more fun. HITMAN 2 developed the advantages of the previous game in a wonderful way but suffered at the same time from repeating the problems of the first one.